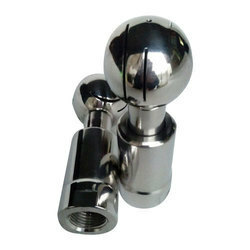 Being a well-distinguished company in the market, we are into offering Spray Ball. Rugged in construction, these Slit Spray Balls are supplied in the market in safe form. 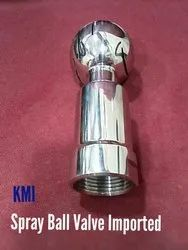 Moreover to this, quality checked material and highly efficient machines are used for making of these spray balls. Easy to use due to light weight and compact size, these spray balls are available in the market in safe form. We provide premium quality machined components to clients such as Spray Ball. It is easily available to clients in a wide range of specifications of size and shape.